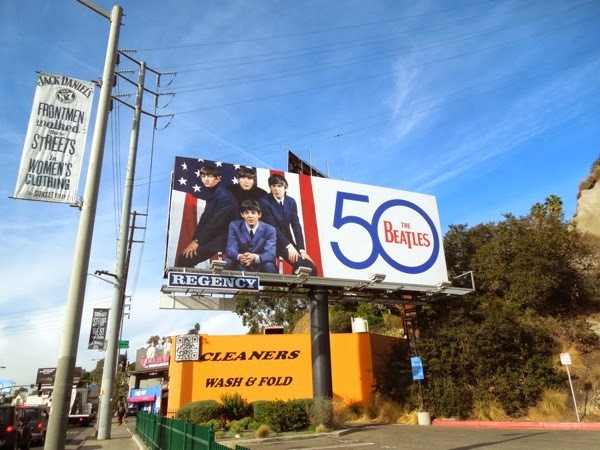 In 1964 little did America know that it was in store for 'Beatlemania' when the British band, The Beatles, invaded the U.S. and brought a jolt of rebellion to rock and roll, plus words like 'daft', 'telly' and 'fab'. 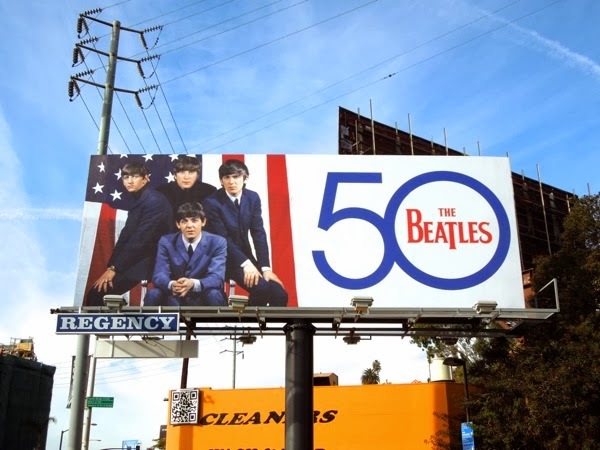 50 years later and the Liverpudlian group's music is still relevant today and being celebrated with a 50th anniversary re-release of their U.S. albums. 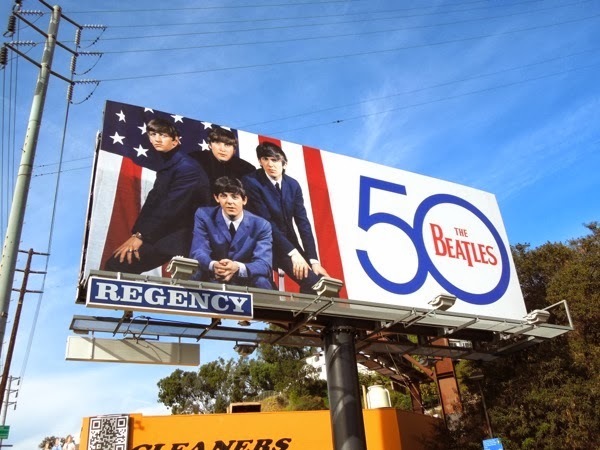 This celebratory music billboard ad featuring Ringo Starr, George Harrison, John Lennon and Paul McCartney in their prime, was snapped along L.A.'s infamous rock and roll stretch of Sunset Boulevard, the Sunset Strip, on January 21, 2014. 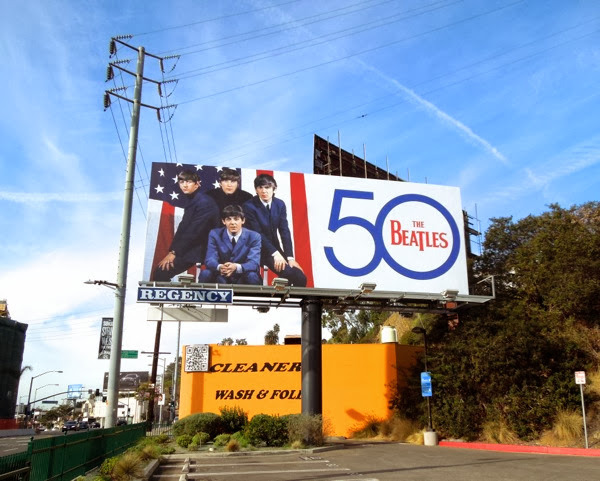 If you're a fan of the 'Fab Four', be sure to also check out these black and white iTunes billboards for The Beatles from November 2010, when their songs were available to download for the first time from Apple's music platform. Plus if you love music, take a look at these other music and recording artist billboards featured right here on Daily Billboard.